This could be just the LIFT you need in your teaching career! Teachers are a workforce under pressure and many are leaving the profession due to stress and anxiety. 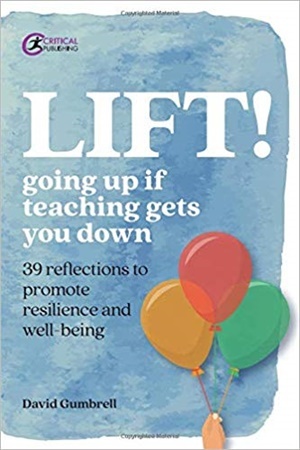 This practical, strategy-led book is suitable for trainees, teachers and school leaders, and can be used to promote both individual reflection or a wider staff discussion around the themes of resilience and well-being. It offers a sustainable and manageable approach in bite-sized chunks to help you regularly nurture yourself and change those perspectives or daily habits that can be unhelpful for you and your pupils. By proactively managing moods, emotions and situations you can make a real difference to your day and to the outcomes of your teaching. The book can be dipped into and can be used time and again to refresh your outlook and boost your resilience with regular inputs of positive, constructive advice.